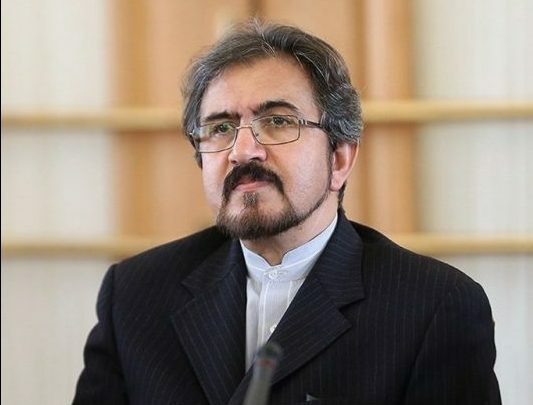 Iranian Foreign Ministry Spokesman Bahram Qassemi says the recent elections successfully held in Iraq strengthened the achievements and victories the Iraqi nation gained in fight against terrorism. In a Monday statement, Qassemi congratulated the Iraqi government and nation on successfully holding their parliamentary elections and said with their turnout in elections, the Iraqis once again attempted to strengthen their achievements and victories in fight against terrorism with a national and resolute will. “The people of Iraq showed that they can play a key role in consolidating Iraq’s stability, tranquility and thriving economy as well as regional security under the guidance of religious scholars and through national unity,” he noted. The spokesman also added the Islamic Republic calls for further strengthening of political partnership and democracy in Iraq. “We are prepared to contribute to the development and construction of Iraq,” he concluded. People in Iraq voted Saturday in the first parliamentary elections since the country declared victory over ISIS terrorist group. Around 7,000 candidates, representing 205 political entities, vied for 329 seats in the parliamentary elections. Informed sources say a predominantly Shia political bloc, led by Iraqi Prime Minister Haider al-Abadi, appears to be leading in parliamentary elections. An election commission source said Abadi’s Nasr (Victory) coalition was the frontrunner, followed by another Shiite bloc headed by cleric Muqtada al-Sadr.